Sanya has big ambitions to build itself into a capital of the world’s yacht industry. The development of its yacht industry has become an important indicator for the international level of any coastal tourist city. At present, there are 219 yachts berthed in Sanya, of which 142 are registered to owners from overseas regions and countries, making it become the most popular place for overseas registered yachts in China. The city has a total of 8 marina clubs, offering more than 1,000 berths for yacht docking. 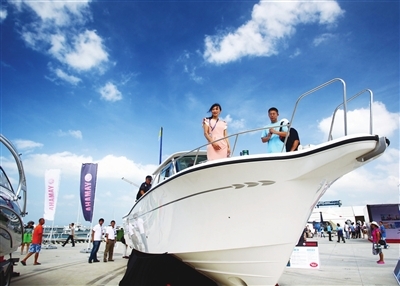 The number of registered private yachts in Sanya has exceededed 200. To promote the yacht industry, the local government is working hard to publicize widely Sanya’s image as a yacht destination in China. 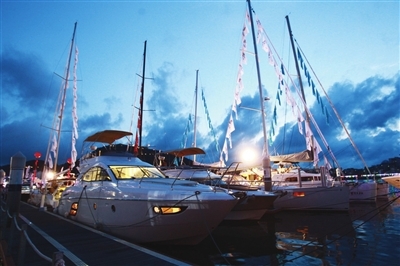 In recent years, Sanya has hosted international events, including the Hainan Rendez-Vous from 2011 to 2012, the international boat show from 2007 to 2012 and the yearly Hong Kong-Sanya International Yacht Race. This March the city will host the first China UIM Class 1 World Offshore Powerboat Championship (CLASS1), which is regarded as a world-class sporting event. 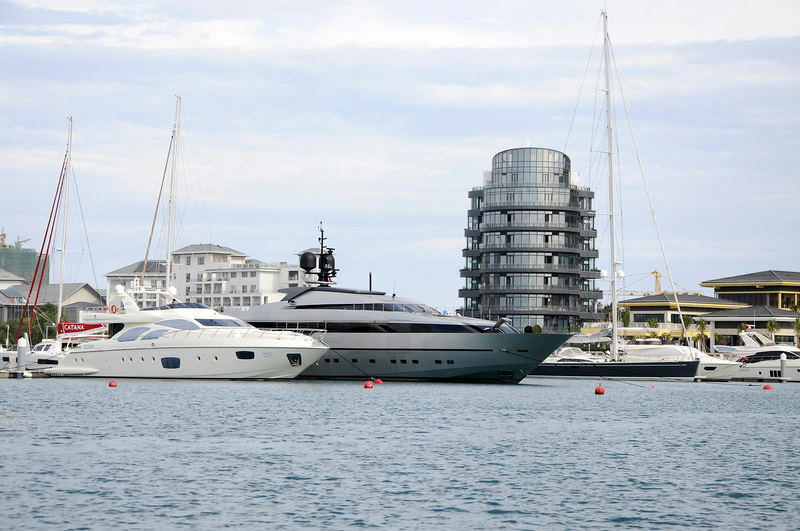 The booming yacht industry in Sanya is attracting the attention of major European industry players who are seeking to tap into the growing interest of China’s wealthy in luxury lifestyles. In August 2012, Sanya Visun Yacht Club became the first member of La Belle Classe Destinations led by the Yacht Club de Monaco to be allowed access to Monaco’s professional experience in port management, member services, yacht sales and leasing. The port improvements are underway. The Tielu Port, Xiaoqi Port and Yazhou Central Port are expected to be built into yacht bases with comprehensive and multifunctional services to make Sanya a consumption center for the yacht economy.